The Hard Path - Pro Ambitions Hockey, Inc. Thank you parents and kids for all of your emails. We love hearing from all of you both when things are going great and when things are going not so great. We are here to help. We are the experts. We are here to train your child with unbiased eyes. Make them a better hockey player. That is our only agenda. We are so proud to have so many of you playing in The NHL and colleges across The Nation. Most of you chose the hard path. The hard path is usually the path that leads to what you really want. The scary uncomfortable risky choice is usually the right choice that brings the big return. My advice is to not settle for wrong. Not settle for unhappiness most especially when it comes to your child. A lot of things come into play in youth sports. If you are on a team with a coaches kid for example. I get so many emails on this topic. Go with your gut as parents. Many times being on the team with a coach’s kid is great, but sometimes it is not. 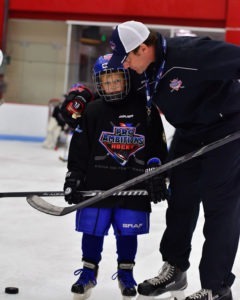 One of my favorite coaches in youth hockey had his son on our team. He is the same youth coach who told me to shoot 500 pucks a day. Great advice. He cared. For all of us. He was the first call I got when I was drafted to The NHL in high school to congratulate me. He was the first to tap me on the shoulder after a game at Lawrence Academy after I played well. He was the first person to tap any of us on the shoulder when we needed it when we felt good to congratulate us or as encouragement when things were not going so well. His son went on to also be my teammate at Lawrence Academy. That was a great coach with a kid on the team. A kind man of integrity, great mentor, coach and person. 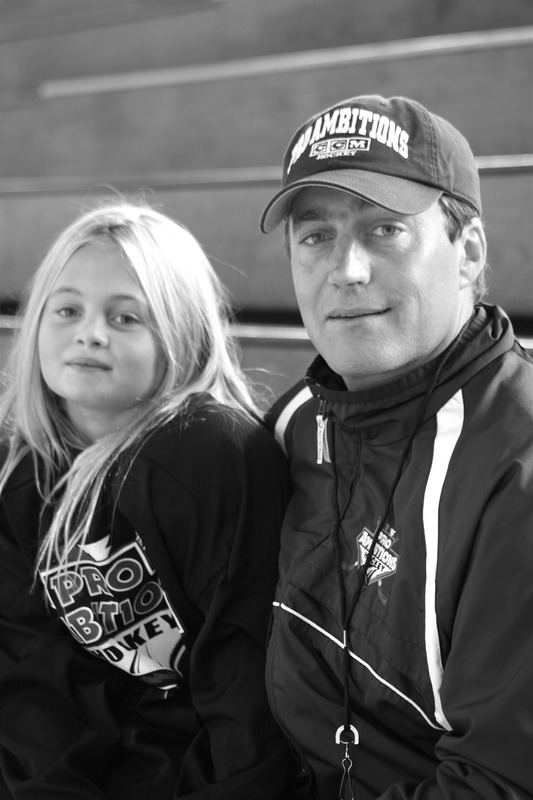 He has since passed away, his son (my former teammate) has gone on to be the 26th coach in D1 college hockey history to win 500 games. There are only two coaches active right now to have more wins. One being Jerry York(Boston College) and the other being Rick Gotkin(Mercyhurst College). My friend is Rand Pecknold Quinnipiac College. Congratulations to Rand. Your success is not surprising to me. You learned from the best. Your Dad. Also remember that adversity is part of the journey and exactly what is hurting so much today will actually help your child become stronger and grittier and believe it or not a better player and person. This is a good thing for all athletes. Strength and grit and determination. In closing though…as adults we know when things are just not right, make that hard decision for your kids with your kids. Do it to help your child and protect them if you feel they need that. When your gut is telling you there are too many agendas, politics, history, jealousy or whatever it may be that you feel may unfairly impede your child’s trajectory and or happiness, you may be right. Take the hard path, keep working hard. There are no guarantees in life. But, in my own personal experiences and in many of my professional peers and camper’s experiences I have seen…That the hard path is usually the right path. Sending out an email today about our AAA Teams that we are currently forming to bring to The Czech Challenge Cup in Prague. You can watch our journey from last August on our website home page video that we just put up. We assemble these teams from youths across The Nation in the fall. We compete against the youth of Russia Sweden Latvia France England Italy Germany and The Czech Republic. This experience will change your child as a player. They play and train differently in Europe and this experience will allow them to grow culturally and athletically. At least one parent must accompany their player on the journey with us. Look for a follow up email today with all of the information about how to join us this summer in Prague. August 4-11 2019. Birth years 04/05/06/07/08/09/10. Bringing 10 teams. Some birth years we asseble both an East Coast and West Coast Team. I travel and coach a team along with all professional coaches like NHL Analyst Billy Jaffe and professional hockey players. Learn all of the details on our website.